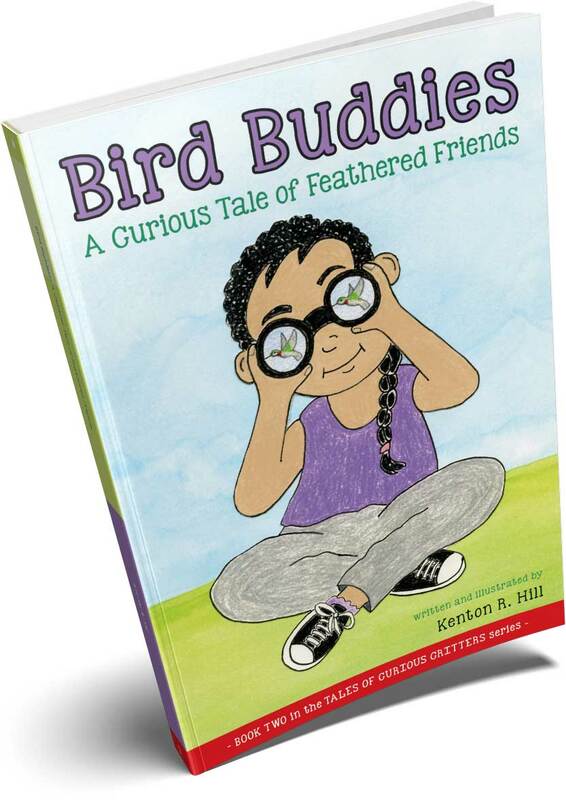 NOTE: BIRD BUDDIES was one of seven “birdy books” recommended for kids the summer of 2018 by the National Audubon Society. This is the second in a series of early reader stories about Boone and Rosa. It follows Buzzy and the Little Critters: A Curious Tale of a Cicada Invasion, which earned praise from teachers, librarians, scientists, parents, grandparents, and kids from coast to coast. In Bird Buddies Rosa and Boone, with the help of Rosa’s aunt (an ornithologist), turn their attention to satisfying their curiosity about two very different and interesting birds - one that can talk and one that can only hum - an African Grey Parrot and a Ruby Throated Hummingbird. Along the way Boone and Rosa learn about friendships - between both feathered and featherless friends. In addition to Rosa’s story within a story, Bird Buddies is full of interesting facts about these fascinating birds and offers suggestions on where and how to learn more. After a career as a teacher, counselor, school principal, and leadership coach, Ken is now writing and illustrating children’s books. He and his wife live in Portland, Oregon, where they tend many different flowers to attract and feed hummingbirds. See what people are saying in the testimonials below. Bird Buddies is really a story within a story. Inspired by a visit to an ornithologist, Rosa writes a sweet fictional tale about a hummingbird and a chatty parrot, interweaving avian facts for added realism. Indeed, science and storytelling are not mutually exclusive. Bird Buddies is a fun read, and full of wonderful interesting facts about birds. Creating a sense of wonder in young readers about the natural world is the first step needed to build a lifetime of support for the preservation of the wonders of life around us. Bird Buddies will help begin that process. I highly recommend Bird Buddies. The story and illustrations are charming with real ornithological insights shared from a child’s perspective, making it easy for a child to read and understand. What a perfect gift! This is another great children’s book by Ken Hill. I bought it for my grandson and it is perfect for him. He loves birds. It is well-written, entertaining and informative. I hope the author continues to write more of these great stories. What I like about Bird Buddies is its easy-to-read format AND that the content is a treasure trove of fascinating information regarding birds! I bought several copies, because I know that any child would appreciate the way the author weaves together a story about birds and also reminds us of the importance of being there for one another! © Ken's Kids Books | All rights reserved.